Philippe Coutinho has started training at the Ciutat Esportiva. 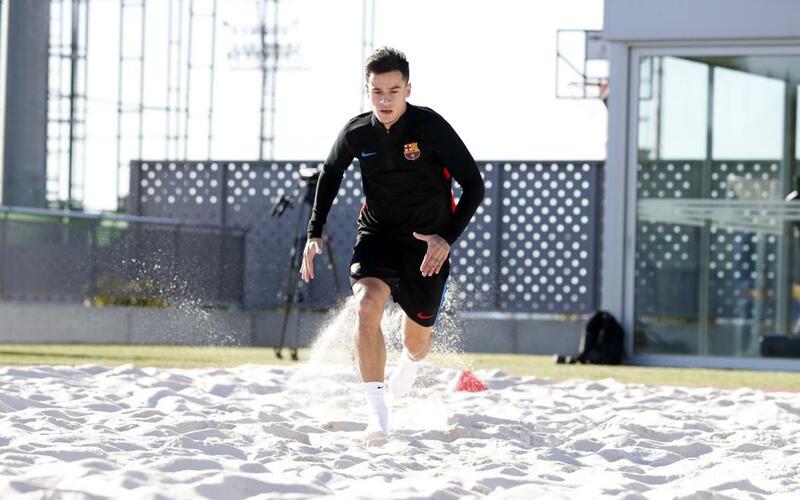 The January signing carried out work in the sand at the training complex in his first session as a Barça player as part of his recovery from a thigh injury. On Friday the available first team players carried out a recovery session at the Ciutat Esportiva following the Copa del Rey victory over Celta. Paco Alcácer carried out part of the session with the rest of the squad as he continues his recovery from injury. Barça B players Aleñá, Varo, R. Tarín, Santi Bueno and Moisés also trained with the first team squad. Furthermore, new signing Yerry Mina also dropped by to watch his new team mates in action in training. Barça’s next encounter comes on Sunday when they travel to San Sebastián to take on Real Sociedad in the last game of the first half of the league season.